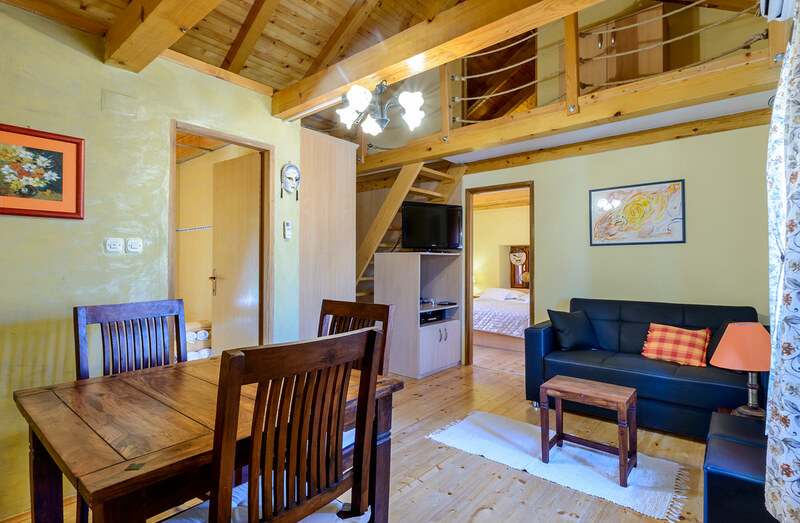 Sunshine apartment (2+2) is two level apartment with two bedrooms. 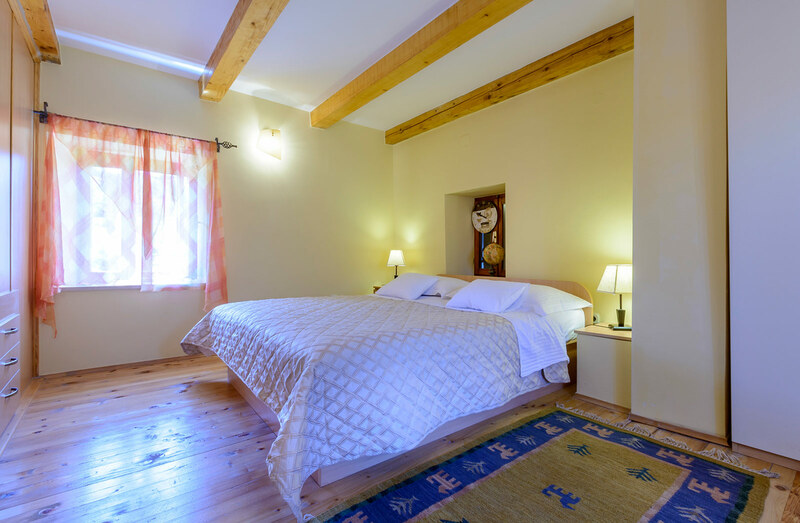 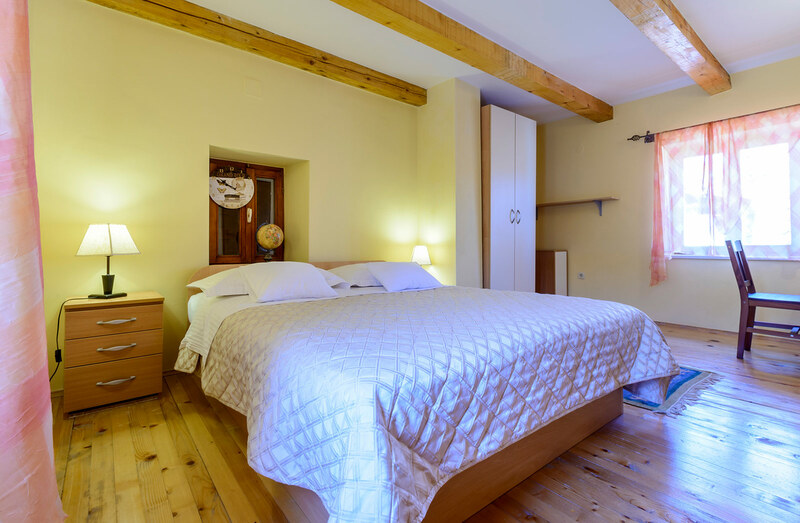 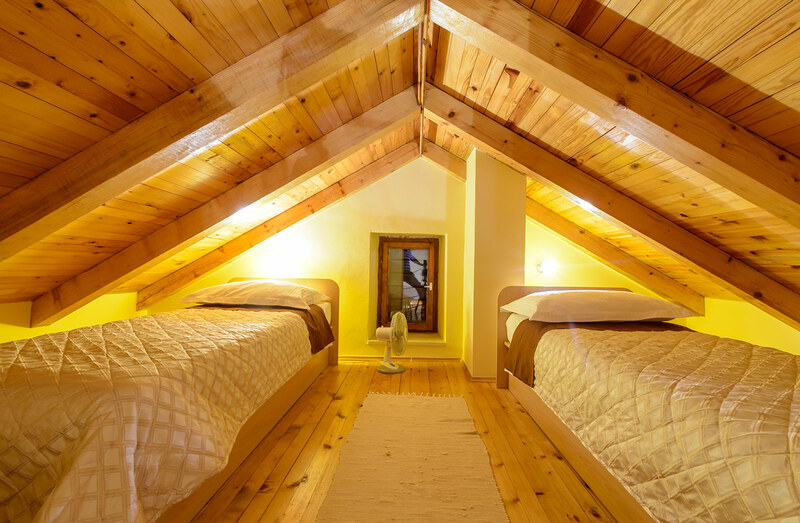 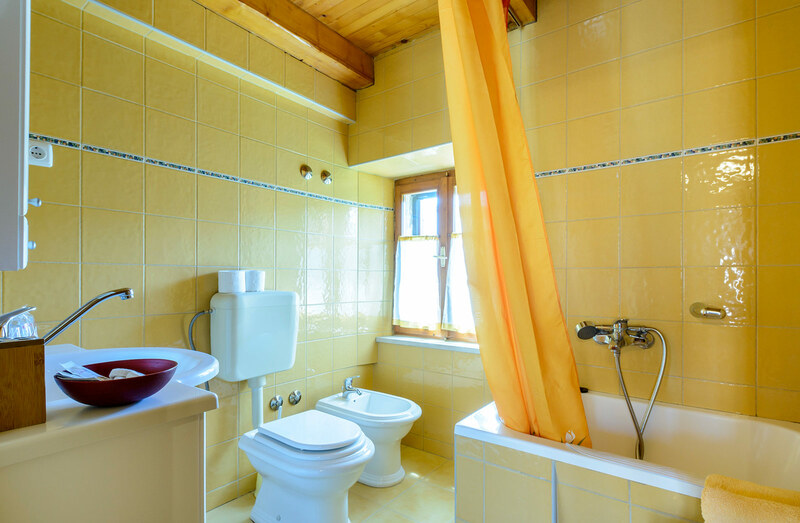 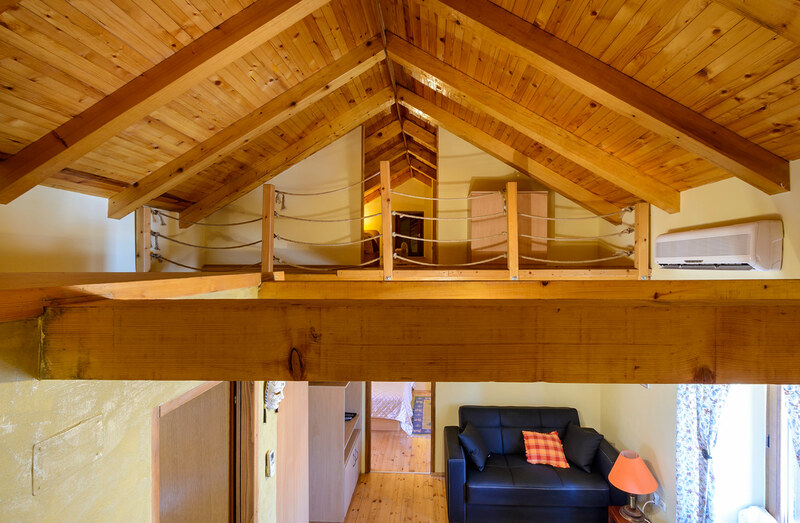 Small bedroom at attic is suitable for children, and main bedroom at first level. 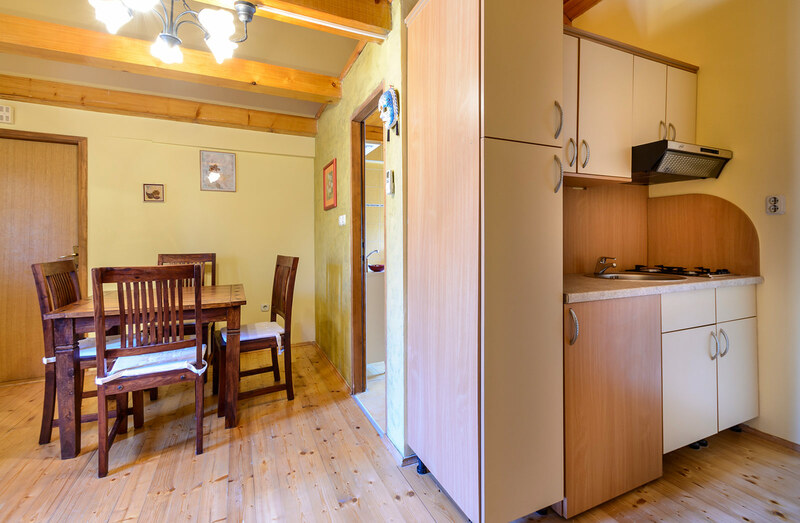 There is a kitchenette (equipped with refrigerator, kitten, dishes) and sitting area. 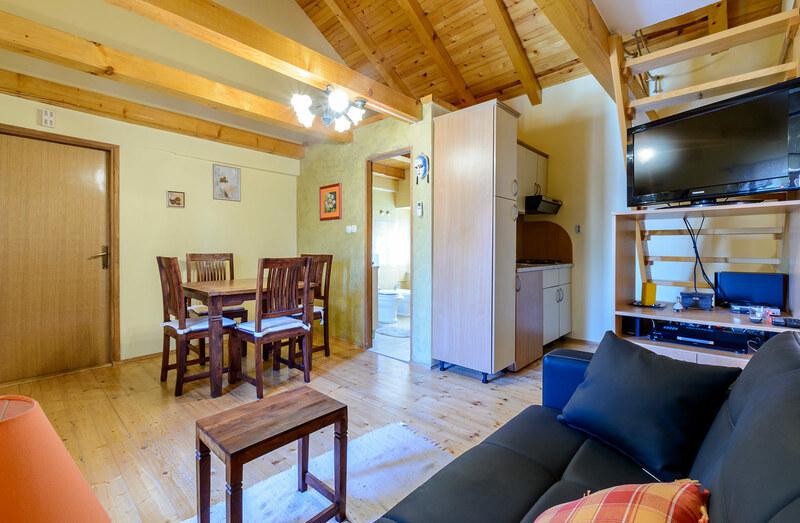 All our apartment are equipped with air condition, TV.